This article shows all keyboard shortcuts that can be used for Content Station 10 on Windows. 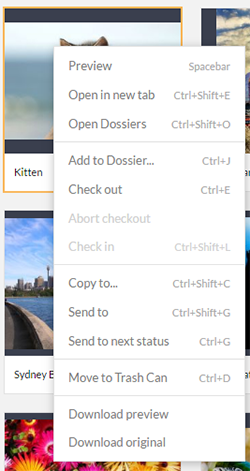 Ctrl+H Files, Dossiers (Content Station 10.24 only) Add selected files to a Dossier. Ctrl+Y Editing text Redo the last action. Ctrl+Z Editing text Undo the last action. Ctrl+H (Content Station 10.24 only) Add selected files to a Dossier.